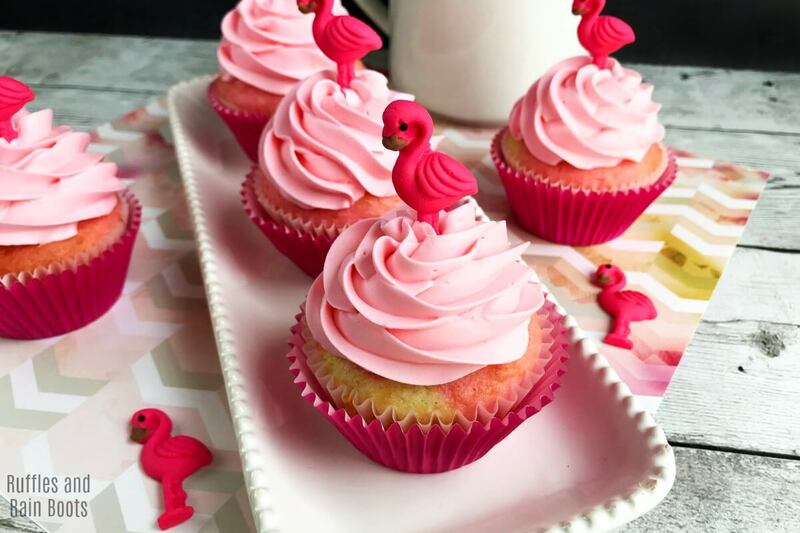 These flamingo cupcakes with swirl batter are perfect for summer or a luau party. 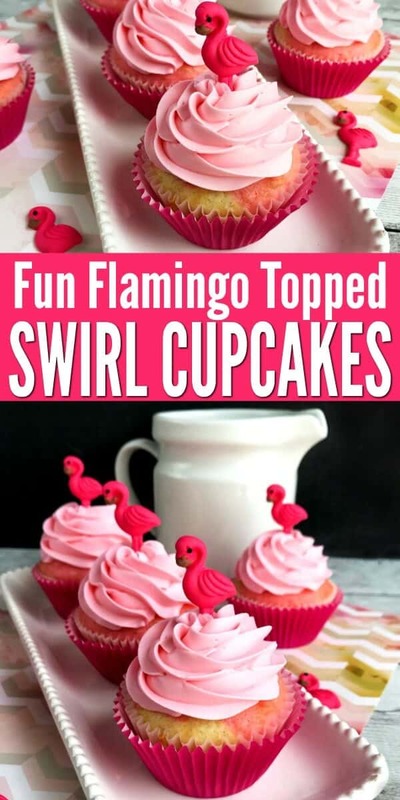 It’s easy to bring a bit of the fun flamingo party food to your table, so let’s get started. I’m a sucker for flamingos, friends. They are oddly beautiful and I’m always drawn to them at the zoo, in design, and now, apparently with food! 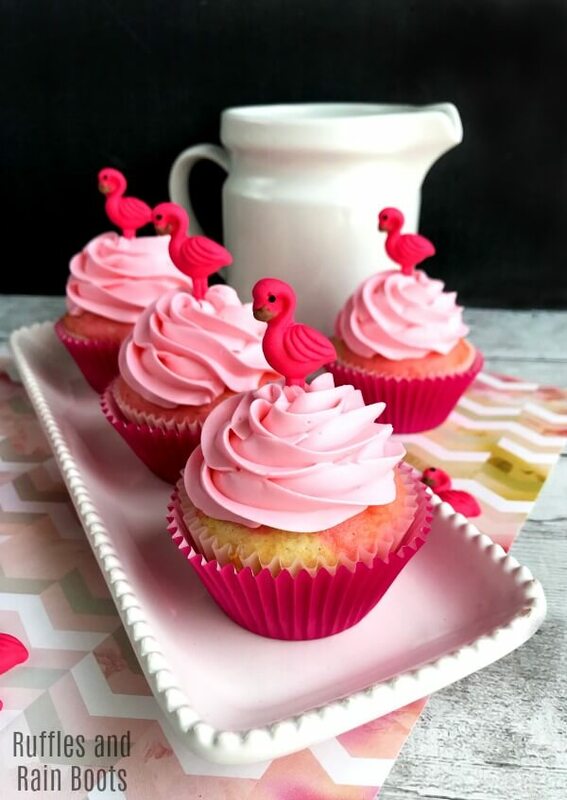 These flamingo cupcakes are perfect for a tropical party, beach party, summer birthday celebration, and so much more. my favorite party banner EVER (it has two tropical elements that I love)! First, let me say that if you’re crunched for time, have a bakery make cupcakes with pink or pink and white swirled icing. There’s just so much to do that it’s not always feasible to make homemade cupcakes. Preheat oven to 350 and place liners in a 12-cavity cupcake tin. For the cupcake batter, combine the butter, sugar, eggs, flour, vanilla, milk, and baking powder. Mix well. Fill each cupcake liner two-thirds full. Mix in a few drops of food coloring into the remaining batter. Top the cupcake liners with a dollop of pink icing and use the toothpick to swirl the color into the batter. Bake 18-20 minutes or until an inserted toothpick comes out clean. Set aside to cool. Combine powdered sugar, milk, butter, and vanilla extract and whip until it has reached your desired consistency. Add a few drops of pink coloring and stir to combine (or swirl). Attach a star tip to the icing bag and fill. Frost each cupcake in a circular motion, gently squeezing the bag and keeping it off the cupcake (slightly raised). 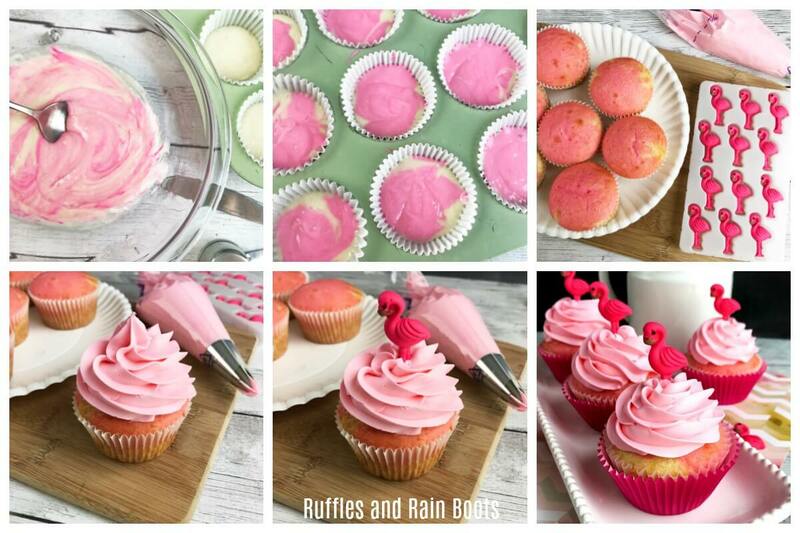 Once the flamingo cupcakes are iced, stick in a topper and you’re ready to party! What is your favorite cupcake flavor? I’m going to bore you and say it’s between two classics for me: red velvet and plain ‘ol vanilla.